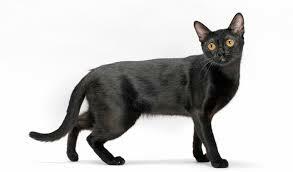 The Bombay cat breed was created in the 1950's in America in an attempt to breed a pure black Burmese cat. 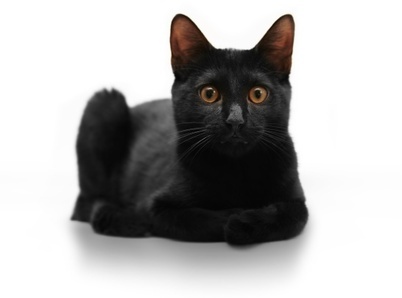 The cats name comes from the fact that the cat has a similar sleek gleaming black coat and brilliant golden eyes, similar to the black Leopards of India. 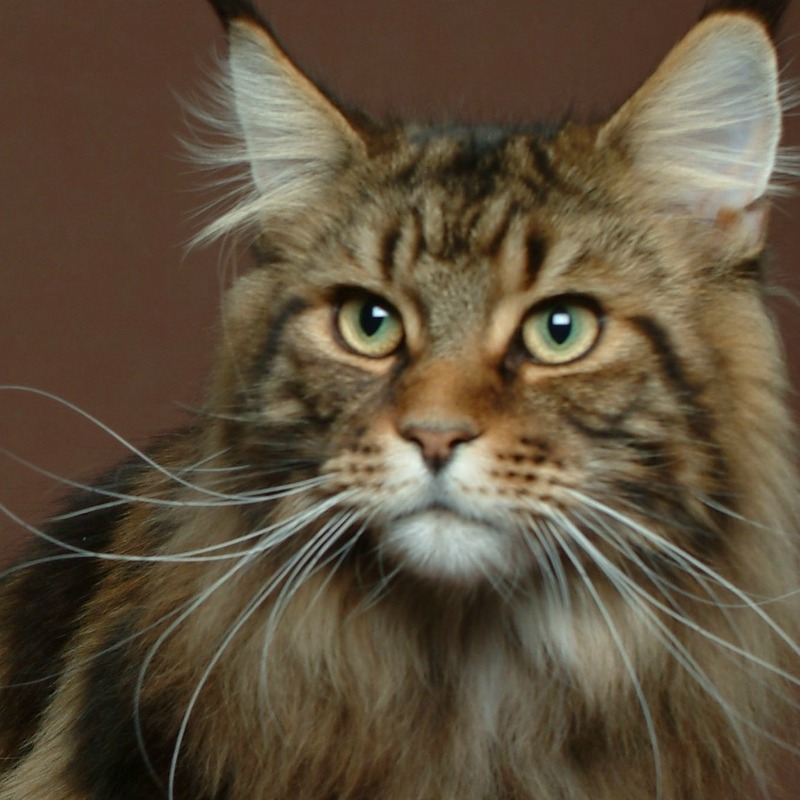 The original breed originated in America from the breeding of a Sable Burmese with a black American Shorthair. 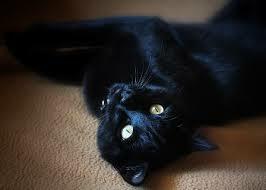 However in the UK the breed comes from the crossing of black British shorthairs with Burmese cats. 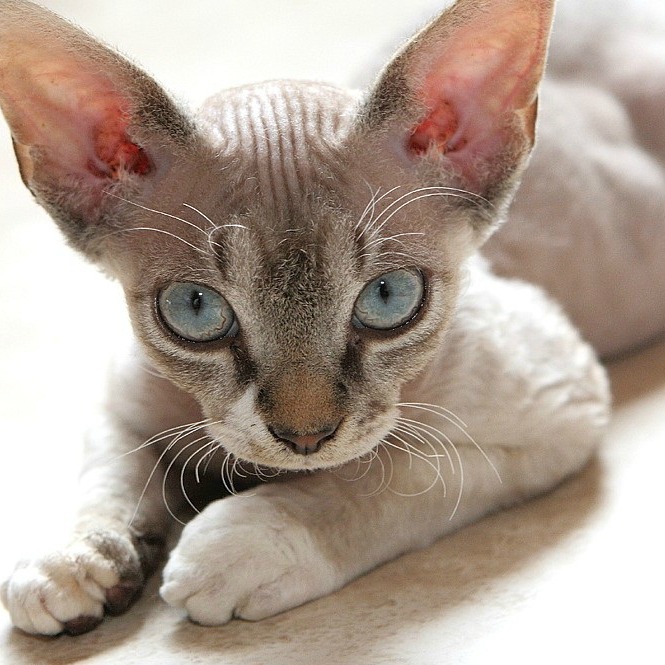 Both Bombay types share the same Burmese temperament and are noted for purring a great deal. They are a strong healthy breed that has a medium sized frame with a round head which can appear slightly too large for their body. 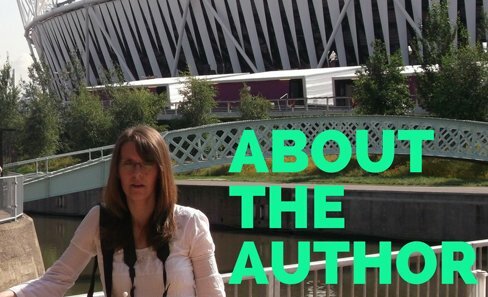 The Cat has a little snub nose and large ears which are rounded at the tip. Everything about the cat must be black in colour, so the fur has to be completely jet black all over, the nose must also be black in colour. Coat: The breed has a short, black, very close lying coat that has a sleek and shiny appearance. There should be no flecks of any other colour in the fur. 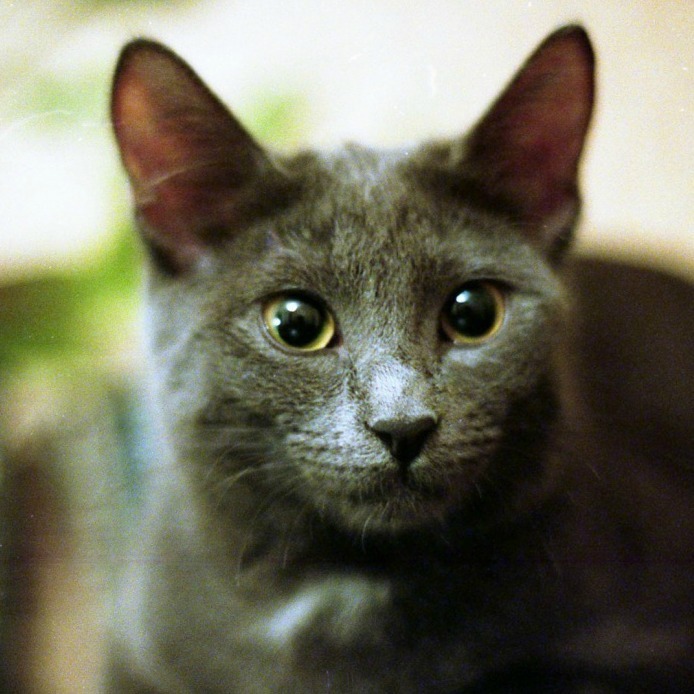 Eyes: The cat has large eyes that are either gold or yellow to green in the UK and gold to copper in the USA. Grooming: The Bombay breed has a coat which will need a little extra grooming to ensure that the fur retains that sleek glossy look. However as it is a short coat this is not hard work. 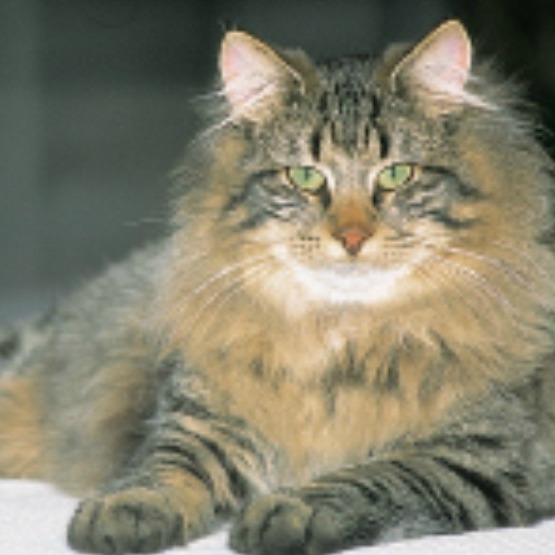 This cat breed has a very similar temperament to the Burmese breed and has a sedate and affectionate nature. It does enjoy lots of attention and so is ideal for a home where someone is around a lot and who is prepared to spend time with the cat.